After a ten year absence, Masterminded For Success are back! And the iconic Berlin label founded by Mark Reeder which discovered PAUL VAN DYK and COSMIC BABY have signed STOLEN, the hottest band in China, for the next leg of their musical journey. Reeder has always said he created his label for the Eastie kids and now he‘s ventured to the Far East and found STOLEN. 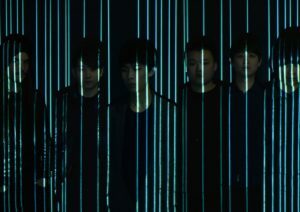 C-Pop trails behind J-Pop and K-Pop in the world’s cultural stakes, even among those fascinated by South East Asian culture but STOLEN aim to change the musical perception of China with their brilliant new album ‘Fragment’ . 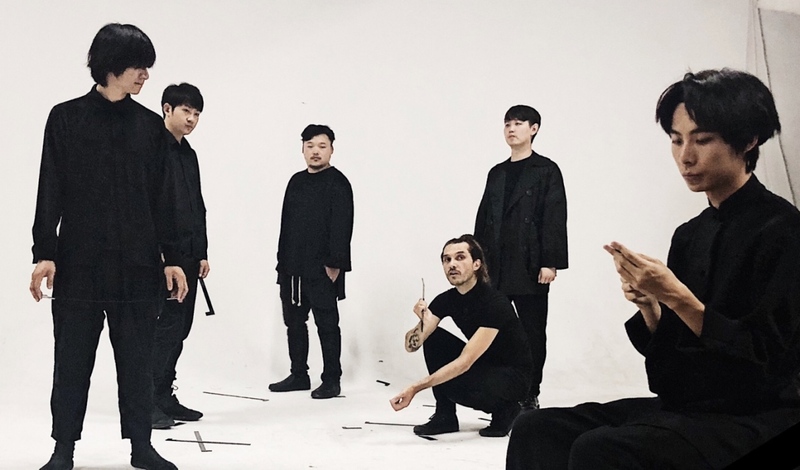 Released on MFS this Autumn, ‘Fragment’ will bring STOLEN’s Sino-graphic post-punk techno rock sound to a wider European audience. Recorded and produced in Berlin by Mark Reeder and Micha Adam, the working class sextet emerged from Chengdu’s underground music scene. Along with FIFI RONG and Re-TROS, STOLEN are part of a new generation of creative Chinese artists who have combined East with West to create their own unique hybrid sounds. The last time The Electricity Club was really aware of the Hong Kong pop music scene was in 1989, when it was all-round entertainers like Sally Yip and Leslie Cheung plus lots of Western cover versions. How was the music scene in China when you were growing up? I became aware and very interested in pop music around 1998 from about the age of three or four. Back then, a certain style of Chinese pop music began to emerge at that time, mainly influenced by Western pop music, and popular producers madly absorbed various musical styles from the West. China was just waking up and everything was new to us. Almost every modern musical style was presented like this, but in a very empty way – that is, Chinese pop music was just emulating western pop music trends, but really without any soul. 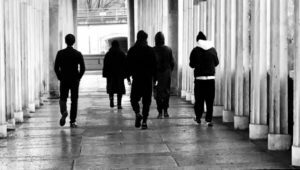 They combine the most basic elements of all styles from rock, jazz, hip-hop, electronics, or even drama, but with simple, easy to digest lyrics and melodies. The environment in which I grew up did not constitute a music scene, because it was more a product of general entertainment business interests, and driven by commercialisation rather than creating something positive and culturally important. There wasn’t any desire to expand outside of China and make something that would express a modern, musical face of China. The idea that it could be culturally significant or go beyond our borders was never really considered, unless it was in the form of Chinese traditional classical music. Although it is undeniable that there are some good Chinese pop records, they still fail to touch the level of what could be considered artistic. It’s mainly just similarity. Besides, because they had struggled so much before, people during the late 90s era considered food and branded clothing to be much more important issues, combined with their desire live and work in peace. The attitude of most people towards art is probably inaccessible, as they don’t really understand it. 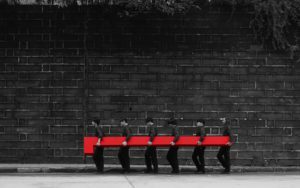 Even in Hong Kong and Western Chinese communities, parents are not exactly supportive of children who express an interest in the arts. So how did your parents react when you said you wanted to make music as a career? I have always loved singing and caring about pop music since I was a child, and my parents just watched. They have never encouraged me to make music. I’m sure they would prefer I became a lawyer, doctor or architect, as it is very difficult for my parents’ generation to defy tradition. But as I seemed to be uninterested in things other than music and fashion culture, my parents just let me do what made me happy. Towards the end of junior high school, I was fed up with hearing about the stupid activities of the petty junior gangster types who grew up in the small town where I lived, they were always doing something dangerous on the edge of the law. They thought this was cool. I think they were bored and this was their way to excitement. I didn’t want a life like that. I wanted to do something creative, not destructive. After I received the admission notice from the Sichuan Conservatory High School of Music, I went to take the exam and the school accepted me. Since then, my parents have supported and always believed in my choices, even though they are probably very confused. They are more and more reassured by the positive achievements and reactions I receive and are confident at the choice I have made. In fact, many parents in China have begun to change their attitude towards our generation. They just want their children to be healthy and happy, and not do bad things. In the West, we saw documentaries about WHAM! 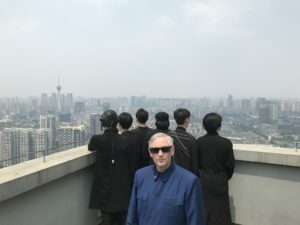 and JEAN-MICHEL JARRE visiting and touring China, did these concerts ever become stories that were talked about locally in the development of Chinese popular music culture? For me, WHAM! is much too old. I was not even born at that time. Later, I learned that they came to China and caused a sensation, but there was no revolutionary change in our music scene because of it. Did LADYTRON coming to Chengdu in 2004 have any impact? At that time, I was still living in the small city where I grew up and I was not in Chengdu, so I am not quite sure. At least no one has ever mentioned it to me, so probably not. 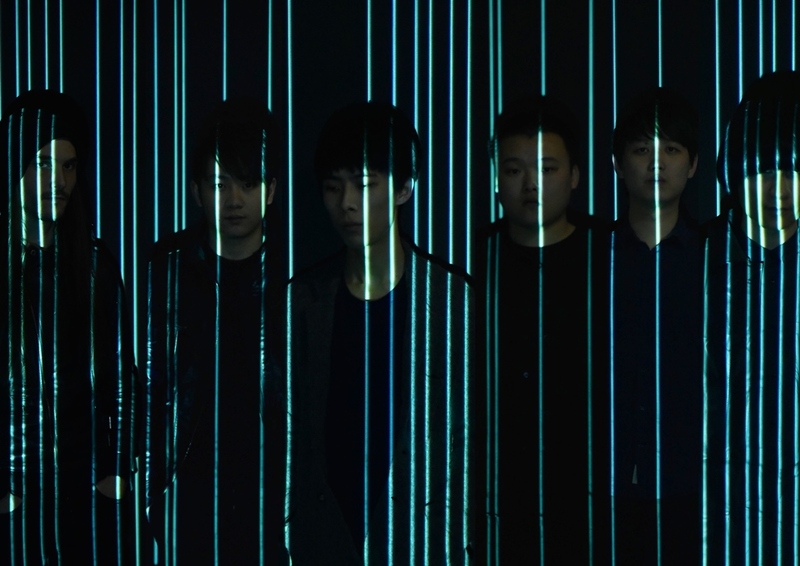 What is Chengdu’s music scene like compared with Hong Kong, Guangzhou, Shanghai or Beijing? 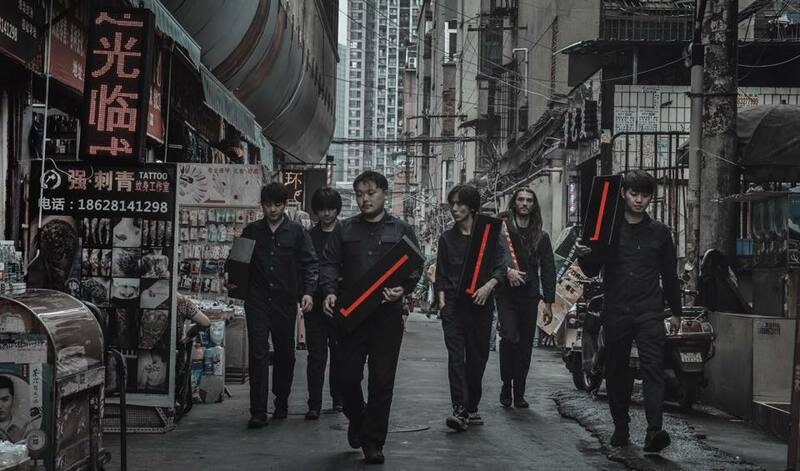 In recent years, there seems to be very few new bands coming out of Guangzhou, Shanghai, and Beijing. In such a vastly populated country like China, you would think there would be many creative people all wanting to make music, fashion and art. Maybe there are, but they are forced to think about their livelihoods. In my opinion, this is mainly because these three mega-cities are much too biased towards financial development, so it is difficult to develop an independent music culture and arts scene in a place where the main focus is on construction, business and money. This has stifled the creative atmosphere. Young people in China are beginning to find it very hard to get a good job, and then it is very hard to keep their job and so they are compelled to work all-hours, so there is no time to make music, besides, music is mainly a non-profitable business and if you are not dedicated or ambitious not attractive. Yet I think it’s essential that we have and nurture our own alternative music and arts scene. This is what gives a country its cultural identity, not just the manufacture of consumer goods. There are a lot of difficulties in forming a band, and many questions arise, like where do you practice? How do you get gigs? 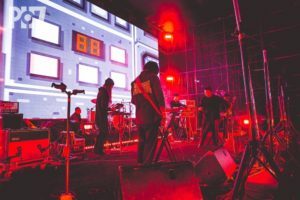 There’s a lot of work involved to write songs, practice for a concert and maintain a presence, and so it is increasingly difficult for young bands to find these places and have the space to form independent bands. For sure, as the city expands, Chengdu may be facing the same problem in the future, but for the present it is really good now. This is due to the fact that people in this part of Sichuan are more relaxed and prefer to enjoy life at a slower pace. We have our own small but energetic music scene. For us, the value is not so important. So life may be a little easier than in the special economic zones. 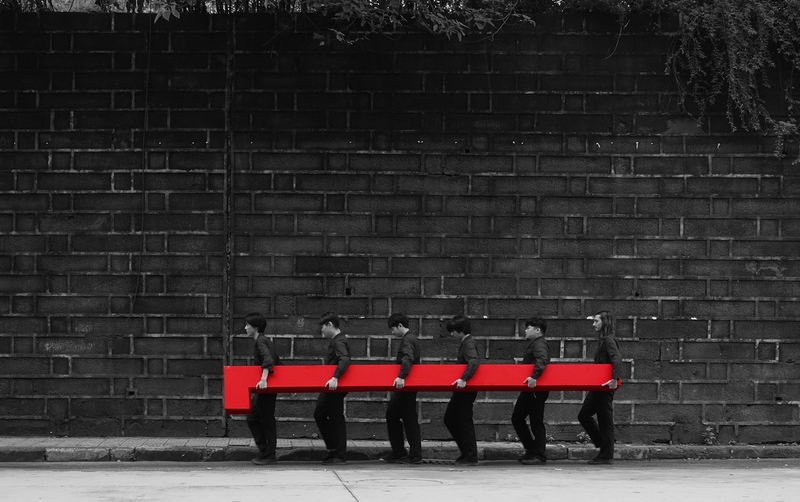 How is Chengdu shaping up as a creative musical hub? What types of bands are forming there and how does the government view these artistic ambitions? It is very simple. Beijing is the centre, it’s the seat of our government, they want to present a good image of stability and so there are and must be maintained certain restrictions on all kinds of things, including the expression of creative art and independent music scenes. This doesn’t mean things don’t happen, but they are not as relaxed like in Berlin or London. As the international trading centre of China, Shanghai has put more brains on the money. Chengdu as a historical city, is the key point for the development of the western region of China. Coupled with the casual lifestyle of the people, it has naturally contributed to the growth of art. Chengdu’s underground music scene from hip-hop to rock music to electronic music is the most dynamic in China. The government is actually promoting Chengdu now as the cultural centre. They still focus on a more business-oriented culture, and they may not have time to pay attention to the real part of art. Sometimes we Chinese don’t have enough time to pay attention, because our development is happening very fast. A lot of music that is coming out of China and being heard in the West appears to be more punk or rock based, so what attracted STOLEN to include an electronic element to its sound? I am not really a hard rock or metal music fan. I like the idea of mixing of rock with techno though. Since discovering this specific style of music, I’ve come to prefer the more gloomier sound of British music, from bands like JOY DIVISION, PORTISHEAD, BLUR, MASSIVE ATTACK or RADIOHEAD. 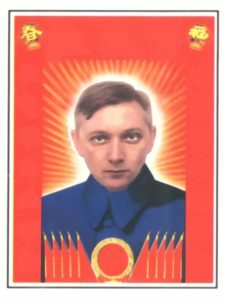 I’m quite obsessed with the experimentation of APHEX TWIN, more or less some synthesizer elements of RADIOHEAD, or the sound of the Moog in PORTISHEAD’s music, the feeling of some dance music style featured in Damon Albarn’s own pop-band GORILLAZ, or the icy German synthesizer taste of JOY DIVISION. These bands have given us inspiration and enlightenment, and at least we know that we can add a synthesizer or electronic element to our music too and we like it. Until we had the opportunity to go to Hong Kong to see KRAFTWERK, we were not fully aware of what was possible. This concert completely opened the door to us to study electronic music, so we began to integrate more electronic elements into our sound adding sampling and a large number of synthesizer passages, even adding synth effects to the vocals, we also added drum machines which would play in conjunction with our drummer. Later, I studied how to make electronic music, but with using the same set up as rock music, and we made a lot of experiments. Finally, this has become the sound of the band at present. 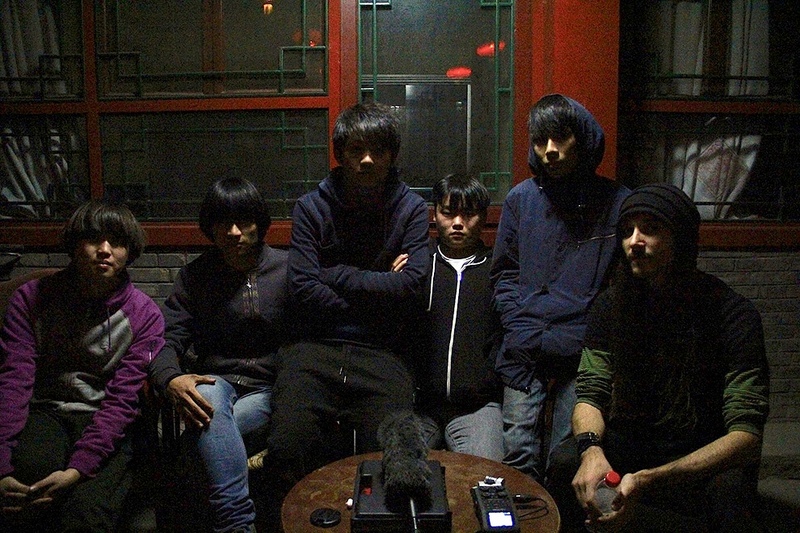 We are very proud that we don’t sound like any of the other Chinese bands. Regardless, we hope our music will open people towards this mixture. It’s just a matter of time. What are STOLEN’s own influences and how did you first hear about them? As I have already mentioned, bands like JOY DIVISION, PORTISHEAD, BLUR, MASSIVE ATTACK, KRAFTWERK, NEW ORDER, RADIOHEAD, DEPECHE MODE or APHEX TWIN have been very inspiring to us. We still have a lot of music to discover. I don’t know if people are aware that Chinas modern music development is very new compared to the West. Only since the end of the 90s has the country opened up and the attitude changed towards listening to music from the West. During my studies, my guitar teacher gave me a lot of his own CDs to listen to, which contained a lot of this style of music. But personally, I’ve realised I prefer the more dark, and deeper voices. As a six piece band, how would you describe the creative dynamic of STOLEN? We have been together as a band since we were teenagers and we are a fully played-up team. There are no ego issues and each band member knows his place, function and that really helps us when we are all working or writing together, so no one is the special core. Everyone contributes their part. Our keyboard player is more technical and he will do almost all our technical work. I am the director and give directions and creative input and ideas to the band, and the guitarist also brings a lot of motivation and some basic ideas. Bass and drums are responsible for writing their own parts. We have a VJ too, who performs his visuals directly with us on stage as part of the band. He uses all his own self-made images, which go with each song and so he can be very flexible and he’s able to improvise whenever it’s required, he is a very live VJ! 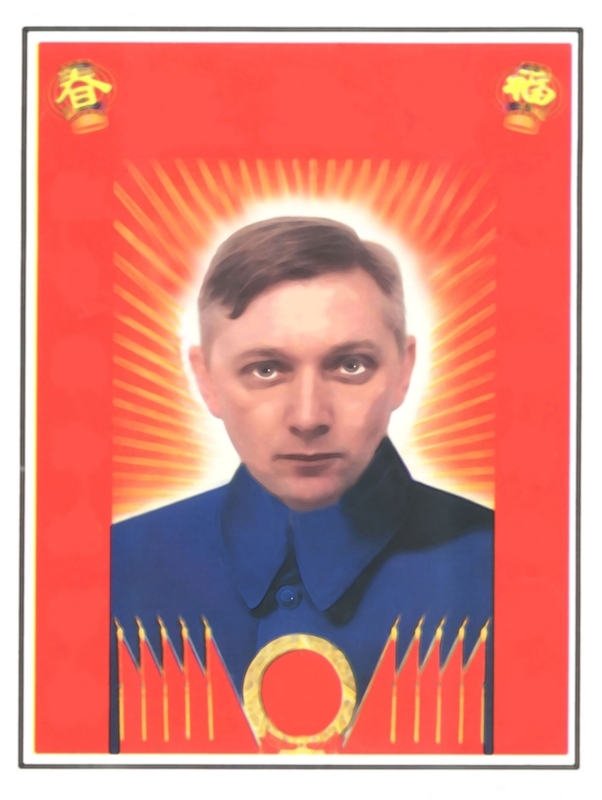 He is also responsible for the entire visual design of the band. We feel that this is good because everyone gives something to the puzzle and together we can create something that maybe even we can’t even think of. It is very nice feeling! STOLEN have a gritty, techno rock sound with hints of pyschedelia, how did this develop? I don’t quite understand this question, but if it’s about why we have a little psychedelic taste in our music, it’s probably because we come from Chengdu. Although we have this element to our music, I want to say that we are not hippies, we are much too post-punk for that, but we love psychedelic music and the culture of that era. Sometimes we add a little feeling to our own music, but that is totally unintentional. The new album ‘Fragment’ is produced by Mark Reeder, how did you meet him? Ni Bing, a mutual friend of ours, introduced him to us. Ni Bing has known Mark for many years and has done many tours of China with him, he also knows many foreign artists and is a senior player in the Chinese independent music business. He heard a demo of our music and felt that from all the people he knows, Mark would probably be most interested. So when Mark was invited to DJ and show his film ‘B-Movie: Lust & Sound in West-Berlin 1979-1989’, we were invited to perform at the same festival in Chengdu together. We sent Mark our demo and asked him his thoughts. After he saw us perform live, we went into the studio together to make a demo. It ended up being an EP. He was able to define our sound the way we hadn’t imagined. That Mark finally contributed to this project was the first time we felt connected with JOY DIVISION, and we were very excited! Hahaha! 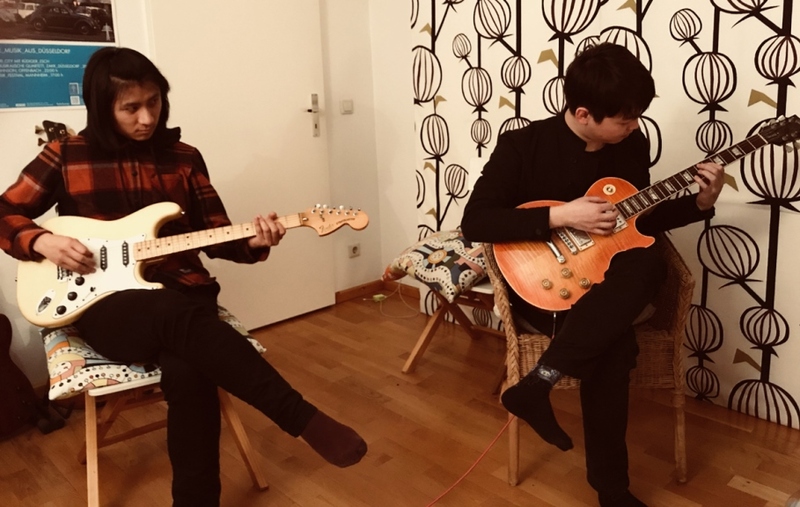 You came to Berlin to record with Mark and his studio partner Micha Adam, what did they bring to the STOLEN sound that you might not have found yourselves? They made our sound more unified and harmonic. They didn’t change much about the songs themselves, they kept all our basic concepts, and they added a few ideas. Mark helped me with the intonation of some of my lyrics, but it was mainly in their choice and use of sound that mattered most. It can be said that we didn’t know how to make such a record before, but Mark and Micha absolutely were able to show us how to do this and how they work as a production team. So what is ‘Why We Chose to Die In Berlin’ about? 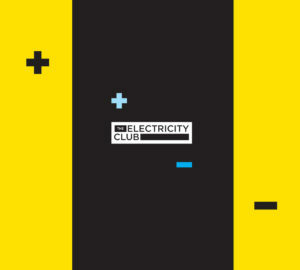 The Electricity Club loves how there are elements of KRAFTWERK in there at the halfway point before it mutates into something else. This is a reflection. One day I watched a documentary about German synthesizer music at my home, where they mentioned Berlin a lot and I looked forward to visiting the city after reading about it. At the time I wrote it, I hadn’t even been to Berlin. So there was no superfluous concept, it was only in my imagination and perhaps some hope. 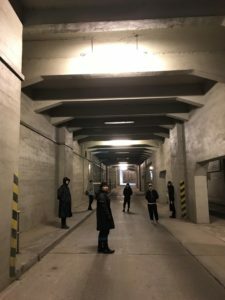 When I visited Berlin for the first time, I realised what an amazing place it is, and that’s when I discovered that my initial concept was actually not a dream, but had been fully materialised. We loved Berlin and we thought we could all die happy there. Glad to hear you like some of the Kraftwerkian ideas in this song. Obviously it doesn’t sound like KRAFTWERK, but we were inspired. In fact, I was a bit worried that the audience would feel that this song is a bit too flattering… but this is the kind of club sound that I yearn for and is something that can be played every day, it’s not about the nightlife, drugs, or worshiping foreign things… it’s just from my imagination and the desire for the unknown. ‘Chaos’ is a superb album opener with a mighty sound which moves into all sorts of places musically, how did you achieve that? Do you think so? Thank you, that’s great to hear! In fact, this song was almost like the band’s bottleneck and before we made this song, we were not certain how to bring it together. Mark managed to do that. He helped us a lot. 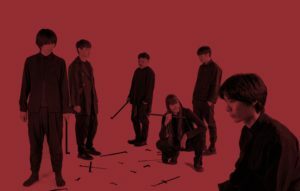 After our first album, we wanted to make new music, faster, but this desire affected us all mentally and we were almost stuck for nearly half a year. We wanted to make the structure and sound of our music much simpler and clearer and more fluid. We were thinking of just making an album that was basic and sounded like we would be playing the songs live, but Mark pointed out to us that we could just simply record a live album if we wanted that, and that the studio is a place to push the bands boundaries, be creative, think outside the box and excel. He said, an album is a documentation of a moment in a band’s career and it reflects that moment for all time. At the time of making ‘Chaos’, this song seemed to meet our requirements at the time, but Mark took us on a new adventure. What is interesting about your arrangements is how they develop within a single song, ‘Turn Black’ being a case in point. Do you think the attitude is almost like progressive rock? We initially wanted to make a very club-friendly dance track, so we asked Mark to come to our studio in Chengdu and guide us. I think because of his background and age, Mark understood exactly what we needed and we made a demo together, which we released as an EP in China. He still managed to keep all the dance elements and add atmosphere, but also make it sound like a rock track too. This inspired us immensely. It had a techno edge but was still quite rocky. This was great to fuse these two elements because many people found it to be more rock and that was equally suitable for our little scene! The version on the album is actually a reworking of the track, so that those people who bought our EP don’t feel they are getting the same song. STOLEN in places, have a very European electronic Goth template as exemplified by ‘Copyshop’, but your raw vocals really set it apart from anything that people may have heard before within this style. Was that intentional? Is that true? We didn’t know this song would invoke this feeling! I don’t know if it was intentional or not. It just happened. It was a feeling we wanted to express, we didn’t think about the Goth aspect. We thought that this song would be seen as very Chinese. The song is about imitation. In the past, many bands would simply copy artists and fashionable styles from the West. It’s so much easier than creating something for yourself, especially when someone has already done all the hard work before you. There is no risk involved. It is our basic principle to try and separate our sound from other music. We can let others hear our influence, but we don’t want to become a “copy shop” ourselves! We are trying to inspire others to join us and create our own Sino-sound. How are your plans for releasing the ‘Fragment’ album coming along? It is all very exciting. First, we have released ‘Chaos’ as a single. Then we will release ‘Fragment’ globally at the end of October. 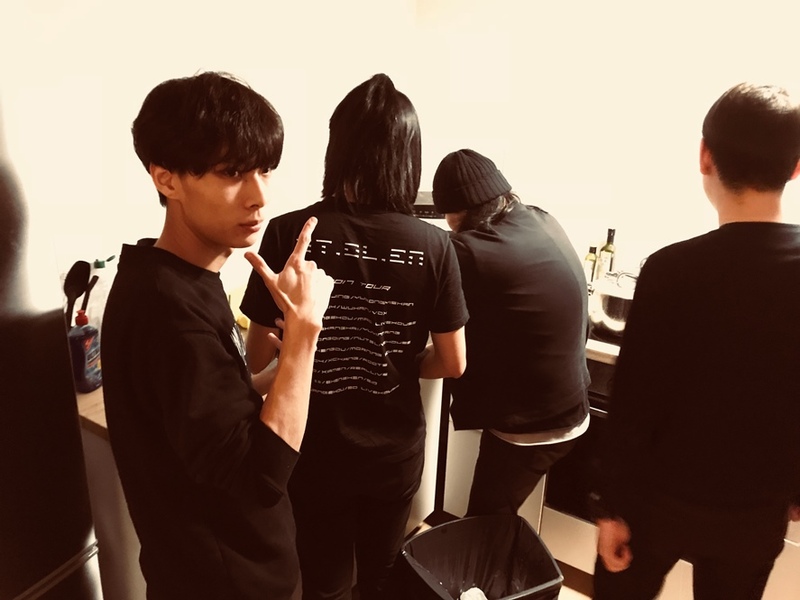 We will be releasing it in China on an independent label and it will be the first time that a band has not signed away all its rights to the songs, which is the usual practice for a band. In China, a band usually gets money for the album and then loses all control. We wanted to do it the European way. This move is so radical in China. It’s never been done before. So we are setting the bar really high. The biggest surprise is that Mark has reactivated his MFS label and will release ‘Fragment’ on vinyl, in conjunction with our French manager’s label in Europe. Mark stopped his MFS label in 2008 because he was bored and said he wanted to wait until something excited him. Our album will also be released on UMAA in Japan too, which is also very exciting for us. We are currently in the midst of intense production preparation and I’m doing lots of interviews. What are STOLEN’s hopes and fears? How difficult is it to arrange to perform live in places like Europe for example? And how does this compare to performing in China? Our hope is to be the new voice of a young, modern China and we want to be the first band representing China in this way. The fear is always that our music is not good enough to compete on the global stage, but Mark said that’s rubbish, and that we are good enough. I have to believe him, after all, he has seen us perform a few times and I think he can judge. As for touring differences, well maybe because we have seven people in the band, flight tickets are a big pressure on the show side. Not every venue can afford to fly us over. In China, it’s easier and cheaper. And not forgetting, we are almost starting from scratch in Europe, as no one knows us… yet. However, the European performances we have experienced were all undoubtedly very professional and in a way shocking to us. We learnt so much. I only refer to the maturity and professionalism of the European performance system with awe as it really showed us what is possible. China will eventually get better, but since performing in Europe, we have always insisted on bringing our own attitude. To inspire more Chinese workers to this industry, we always try our best to bring some of our own lighting fixtures and our own stage team with us on tour. I hope that the performance environment of an independent band will have a positive effect in China. 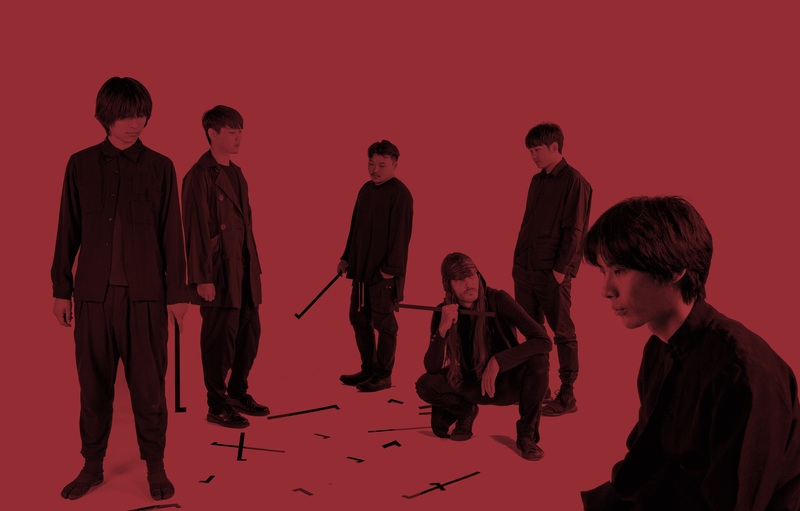 Do upcoming Chinese artists like Re-TROS opening for DEPECHE MODE and FIFI RONG collaborating with YELLO give you optimism for a wider breakthrough? Yes, of course! We would also like to have a respected European band embrace us too and appreciate us as well. The idea of touring with the likes of NEW ORDER, LCD SOUNDSYSTEM or THE CHEMICAL BROTHERS would be more than a dream come true. I also believe this will eventually happen. We will also work very hard for it! 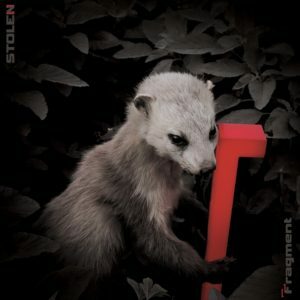 The Chinese music market likes ‘karaoke versions’ of songs to be available, does this figure in STOLEN’s plans for the release of ‘Fragment’? Karaoke is something that has grown up with us, but at the moment it doesn’t apply to us. I can’t imagine anyone singing ‘Chaos’ in a Karaoke club! The messy copyright situation and poor sound quality of the cover version music is not so attractive. But your idea is very interesting. You really know China! I’m surprised!